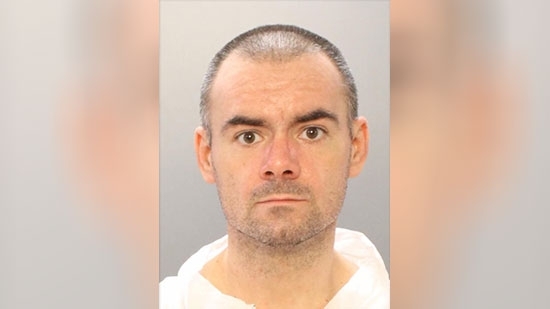 Philadelphia Police have charged a suspect in the stabbing death of a man in the Wissinoming section over the weekend. 34-year-old Joseph Wilson has been charged with murder, possession of an instrument of crime, obstructing of justice, and other related offenses. Police responded to the 4000 block of Higbee Street around 2:30 p.m. Saturday afternoon, 12/1, for a report of suspicious activity. The landlord had found the victim's girlfriend and two other men in the basement cutting up a blood soaked rug with the victim wrapped inside. All three were taken into custody. Only Wilson has been charged so far. Police have not released any details about the victim other than he was stabbed. Philadelphia Police have identified the three people found dead inside a home in the Tioga-Nicetown neighborhood on Saturday, 12/1. Police responded to a report of a possible burglary. A woman returned home to the 1900 block of West Venango Street around 7:30 p.m. and discovered it had been ransacked. She called police. 92-year-old Warren Harrison and 57-year-old Earl Cottle were found dead in the basement with blunt force trauma to the head. 63-year-old Khadijah Abdullah was found stabbed in a second floor bedroom. All three were wrapped in blankets. Harrison owned the home and was in a relationship with Abdullah. Abdullah and Cottle are siblings. The woman who discovered the scene is Harrison's daughter. There were no signs of forced entry which leads police to believe the victims may have known their attacker. Some items have been taken which could indicate robbery as a motive. There is a $60,000 reward for information that leads to the arrest and conviction of those responsible in these deaths. Philadelphia Police are searching for two vehicles that struck and killed a man in Rhawnhurst on Saturday night, 12/1, and then fled the scene. It happened Saturday night on the 8200 block of Bustleton Avenue near Stanwood Street. The victim was crossing against the red light when he was struck by a white Honda Pilot. He was then struck by a dark-colored Toyota 4Runner. Neither driver stopped. Police have surveillance video of the accident from the scene. They say the Honda will have front-end damage and the Toyota will have a missing lower bumper support. "We would just ask the public if they had any information about either of these two vehicles to give us a call. And I would encourage anyone who lives in the Rhawnhurst area, lower Bustleton or Somerton area to check their home surveillance video to see if they have any of these vehicles in their camera," said Capt. Mark Overwise.